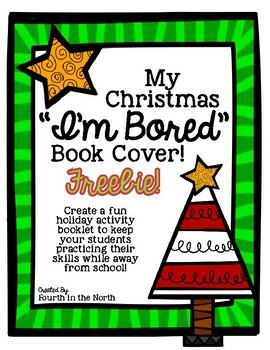 My Christmas Break "I'm Bored" Book Cover FREEBIE! Don't you hate hearing students say, "Christmas Break was SO BORING!" when they return to school? 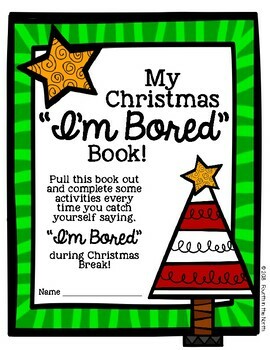 Do not give your students the opportunity to say those horrible words with My Christmas Break "I'm Bored" Book Cover FREEBIE! 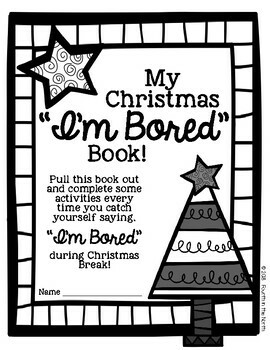 This FREE product allows you to create a small booklet of fun and skill-based activities of your choosing to send home with your students prior to break. 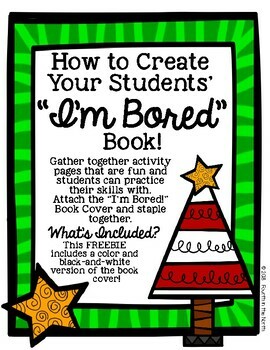 Simply print the cover, attach to the activity pages you choose, and BOOM! You have created a fun and exciting resource to keep your students busy, and their parents thanking you!